Jenoptiks’ Vector integrates the industry-leading ANPR processor with a state-of-the-art dual-camera imaging system as a single unit, removing the need for a separately housed processor at the camera location. 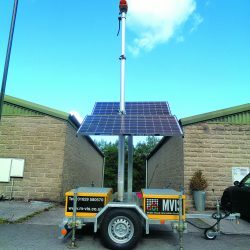 The product facilitates the flexible combination of ANPR and overview cameras, pulsed LED illuminators and ANPR processor, to suit the client’s application precisely. This enables any pairing of monochrome, colour or day-night cameras with covert infrared or visible illuminators.